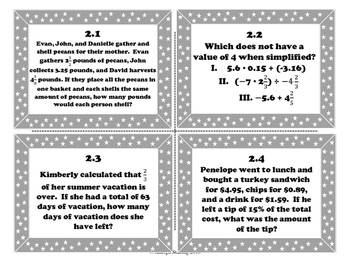 7th Grade STAAR Math Review Task Cards! 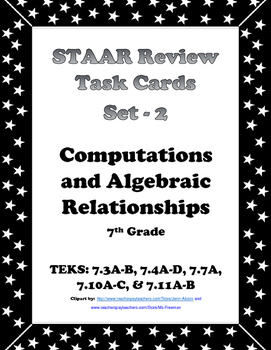 This set of 48 task cards cover TEKS 7.3A-B, 7.4A-D, 7.7A, 7.10A-C, and 7.11A-B & follows the newly revised TEKS for the state of Texas. 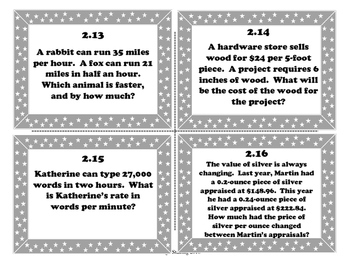 All questions are created to help students prepare for the STAAR assessment. 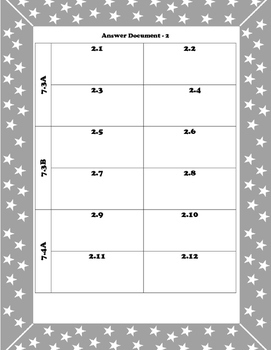 ★ Answer Document for student that lists TEKS and a number that matches up with the same TEKS on the Task Cards. ★ Answer Document with corresponding numbers. These Task Cards can be used as a review for the STAAR test, or as remediation for students that need work on particular TEKS! The individual numbers put learning in your students hands where they can easily find the questions they need to complete! Please visit my store for other available TEKS and Bundle Packs Coming Soon! I am an individual TpT seller with no affiliation with TEA or Pearson Education, the makers of the STAAR assessments. This product is designed to help students to be successful on the STAAR assessment and is aligned very carefully with the new Texas state standards, or TEKS.